Hiring great employees is only half of the secret to success. The other half? Keeping them happy. Want to get the best performance out of your staff? 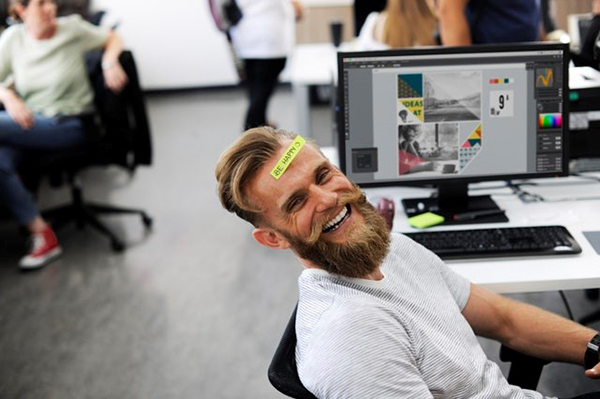 Marketwatch reports that happier employees are 10% more productive than their disillusioned counterparts, confirming that employee wellness is vital to your company’s bottom line. However, the article stresses that measurable analytics aren’t the only element of the workplace that should be addressed. The less quantifiable aspects of work, such as the benefits of collaboration or the freedom of creativity can be determining factors in positive growth. So, how do you run the day-to-day functions of a business or organization while simultaneously working on employee engagement? It’s not as difficult as it sounds. Below you’ll find a few tried-and-true ideas that have contributed to the success of some of the world’s most recognized brands. Employees want to feel invested in their work and a great leader can help achieve that. A recent report conducted by Indeed sites that top-rated senior leaders possess great listening skills, set fair and achievable goals, help people learn from their mistakes, assist with workload management and have a supportive attitude. So, how do you find and retain these kinds of leaders? -- Start fresh (when they’re hired or promoted) with new manager training. -- Set clear expectations regarding employee engagement. -- Keep their skill set sharp by having executives host a manager seminar of their own (as a refresher course for more seasoned employees). -- Make leadership skills training a regular occurrence. -- Emphasize the importance of honesty and trust. It can be difficult for employees to stay motivated when a review cycle happens on an annual basis. Instead, create a culture of ongoing feedback. This may seem like a no-brainer, but many organizations struggle with the sensitivity associated with offering feedback and delay the conversation until it’s too late. Some leaders schedule one-on-one chats with their direct reports on a weekly basis to overcome this; others have regular touch-base team meetings in a group setting. Many even take it further designating a “safe space” section of the office where any employees can go to solve problems without the fear of judgment. Do what works best for your environment, and always be receptive to feedback. Progress is a two-way street. In addition to course-correcting errors, staff members should be celebrated for their achievements on a regular basis. In fact, according to a Gallup analysis, employee recognition increases productivity and loyalty, which results in greater retention. Employees who feel valued stick around, so why not build that validation into your company culture? During employee on-boarding, ask how your new hires prefer to be recognized. Do they enjoy gift cards to their favorite restaurants? Would they prefer to bank hours for extra time off? Or does the presentation of an award in front of their peers appeal to them more than anything monetary? Rewards can be as simple as a verbal “thank you” for how much you appreciate their hard work or a free cup of coffee from their favorite shop. Recognition doesn’t have to be complex, it just has to be sincere. Many may envision “trust falls” at an outdoor retreat when team building exercises are brought up, but in reality getting the group together for some silly fun can break down social barriers and promote a happier company culture. Who could forget the Office Olympics episode of The Office? The idea caught on with such rapid fire in real corporations that there are now Pinterest boards dedicated to game ideas and third-party companies that will host the games for you! Granted, not every activity has to be that elaborate, but getting your team out of their comfort zone can work psychological wonders in the workplace. Employee wellness programs may seem like a passing trend, but their results indicate that they’re here to stay. Wellsteps reports that companies benefit from implementing such programs by way of reduced health care costs, increased productivity and reduced absenteeism. Because the practice is gaining popularity, it’s not just a solution designed for big-box corporations. There are several options out there for startups and mom-and-pop shops. In fact, employee health and wellness is becoming one of the most popular small business employee benefits currently offered because companies can create them a la carte. The possibilities in the pursuit of employee happiness are limitless. If you’re unsure where to start, give your team an informal survey and hear their suggestions. Getting their feedback will give you insight into their preferences and give them reassurance that you’re listening.